Co-creating in unity and relationship. Introducing Mari Perron, the Center for A Course of Love’s Board Members, and ACOL Community Resources. Being the first receiver of A Course of Love has been a humbling experience. Something happens as we receive A Course of Love. At first, whatever it is that happens can be very confusing. All I knew was that I’d been profoundly changed. This is why, when I began to meet others who were as affected by this Course as I had been, it became such a bonding experience. It was rather like groping in the dark – but at least we were doing it together. Something was different, something was new, something that felt like the answer to an essential yearning had occurred, and yet, since it defied classification or mental understanding, it felt very odd. That this was what was meant to happen eventually became clear, and that was relieving, but not an ending point. New doors are always opening. There is no end point called “accomplishment” because living wholeheartedly and newly and truly is the continual accomplishment that we begin to share and cherish. This is why this Center is devoted to “us.” What we can’t be alone we can be together. When A Course of Love was initially published in its Combined Volume, one of the first areas that was given attention was a new website for A Course of Love. A Course of Love had been a “small” book for many years. The first publication of The Course (the first book only) occurred in 2001, by New World Library. (I had only just completed receiving The Dialogues at the time.) The Treatises were then published in four separate volumes. Finally, I self-published The Dialogues and it became available too. A few years later, when the New World Library edition went out of print, I brought the books together in a three-volume set. These I called “the blue books.” As soon as websites became easier to create, I started my first Course of Love website. After A Course of Love was published in the Combined Volume in 2014, one of the first things publisher Glenn Hovemann and I did together, was work on a new website. The Course of Love site was geared more to those new to the Course, and I was aching to explore the areas that become exciting to a seasoned reader. Thus, my focus here was on Dialogue and Expressions of readers. In the few years since then, A Course of Love’s readership has become a world-wide audience, and many are ready for what is beyond the book. Now I have started a new website: mariperron.com, to fulfill those urges that I once hoped to meet on this site. . .the movement beyond the book to dialogue and creation of the new. In the years since I completed the receiving of A Course of Love, I’ve continuously sought for ways to express the inexpressible. What I’ve found most consistently is that what is truly felt needs expression to, as my friend and ACOL reader Michael Mark says, “meet itself in the world.” This expression includes the full range of what is felt, from the pain of separation, to the joy of union, to all the in between states that are experienced as we become who we truly are. I am most moved to share and encourage feeling states of being, creativity, and passionate engagements with all that joins our humanity and divinity in a united voice for love. The “new way of knowing” that is suggested in A Course of Love, combined with its call to be who we are, is what I find most radical and compelling. The two are intricately tied together, making the sharing of experiences a crucial element in the way we come to know what we know, come to be who we are now, and come to partake in the mystery that is creation of the new. As pioneers of the new I understand that a dismantling of “life as it is” often happens. I have experienced this firsthand and desire to support a feeling of connection through the acceptance of all the stages of unlearning, healing, and movement to new life. “known” and experienced myself, was about to be changed forever. Feeling lost and without a guide, A Course of Love (ACOL) came to me at just the right time. ACOL cannot be read; it must be absorbed, in a similar way that oven cleaner “works” inside your stove when left overnight. Slowly, the alchemy melts away all that is of fear and leaves only what is essential; the memory and experience of Love. ACOL is for anyone experiencing an “identity crisis” and seeking guidance and certainty in these times. 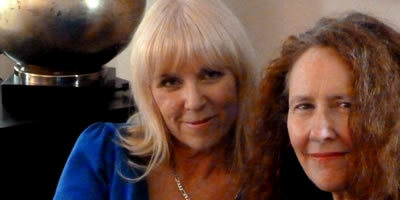 Christie Lord is a Spiritual Director and Myers Briggs consultant, and was a member of the first Course of Love group. I am moved by the simplest aspects of life which I consider to be the most profound. This embodies how we communicate, even with words unspoken. This is how the human condition moves within me. I have seen time and time again, how all connection is really a form of communication. I am forever altered by this realization. My life experience with the loss of a child illuminated this kind of beauty. 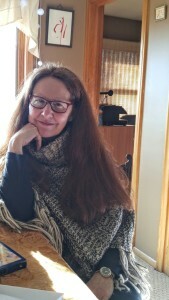 Mary Love writes (see her contribution to The Grace Trilogy https://acourseoflove.org/maris-other-books/) and has done video for the past 20 years focusing on healing, connection and the beauty of remembrance in life. Mary believes in all levels of communication. Most importantly in the physical to the divine. Two of the premier places for reader expressions of A Course of Love (ACOL), and for connecting with other readers of ACOL are the main “Groups” tab on the Course of Love website and the ACOL Facebook Groups. Christina Strutt, the moderator of the first ever ACOL Facebook group, and Center for A Course of Love Board Member Emeritus, developed guidelines for sharing on Facebook that can be found in the drop down link “Essence of Facebook.” I thank her for her service and friendship, then as now. Very few of us participating in this group have before seen such groups as having the ability to share the depth that this group does. It is not a place where people toss quotes about but one where experiences, feelings, and insights are freely shared and where loving response is given. True feelings of companionship in union and relationship have arisen. You are lovingly invited to join ACOL Facebook Group. “All relationship is relationship with God Who Is Love. We, all of us together, are the heartbeat of the world (C30.10,13). Because we are one heart, one mind, one Self, we can only know our selves through sharing in unity and relationship. (D:Day 11.12). ACOL USA chronicles a daily unfolding of lives receiving and living the message of ACOL. Everyone present – posting or not – and everything that is happening here, is perfect. All are here with loving intention, joining heart-to-heart. We are one Whole Heart. ACOL USA is a web of relationships, strengthened by wholehearted sharing. Mari sits like a fat juicy spider at the center of this web, welcoming all. ACOL USA Group members gather in dialogue, strengthening union and relationship with all. Resting in true dialogue, we practice listening deeply and appreciating wholeheartedly. We suspend our judgments, our assumptions, and knowing the right answer beyond our own. Our dialogue welcomes all posts sharing personal experiences living ACOL. Experiences shared as they are unfolding in our lives – the more current and present the better. Experiences of non-ACOL words and how they evoke and echo ACOL’s message to us. Questions, wonderings, challenges, sorrows, joys and triumphs as we live deeply into ACOL. The ACOL USA dialogue builds understanding, appreciation, and deeply shared meaning. We are weaving the threads of our unique and varied experiences into a meaningful whole. The ACOL USA dialogue is inviting members to turn inwards, to listen first, then respond. There is no teaching in the dialogue, there is nothing to correct, nothing to fear. There is no conflict. Only distinct experiences. Uniquely expressed. And uniquely received. Disagreements are an invitation to remain open, spacious and inclusive. Building meaning, relationship and joining – inviting members back into this embrace. Members participate as and when they feel prompted. There are no requirements. 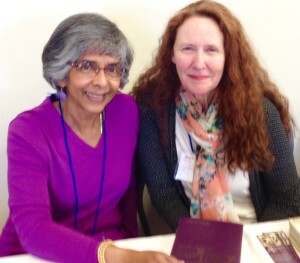 Everything that happens on ACOL USA is in loving service of our collective heart. Moderators are members of the ACOL USA web. There is no hierarchy. Moderators, living deeply into ACOL, are in service to all members. All members of ACOL USA are moderators in truth, as all are in service to each other. Moderators demonstrate loving dialogue and responsiveness by example. Moderating is rarely needed in a ‘policing’ sense of removing posts, blocking, reprimanding. Response to a complaint is an invitation to first look inwards, then respond from the heart. Response to a non-ACOL related post is an invitation to share the relationship the member feels.